This quilt was pieced by another guild member. I picked it up from the philanthropy table... a while ago. :-/ I did the quilting and added the binding. It will be returned at this month's SCVQA meeting. 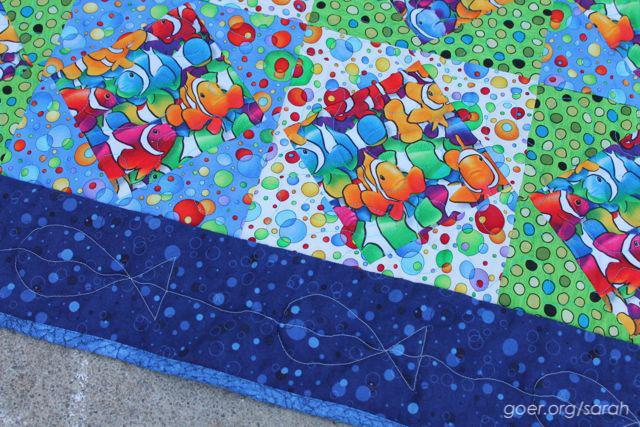 Next on the quilting to do list is to add the binding to the other philanthropy fish quilt. Then I should focus on my ALYoF goal for the month. 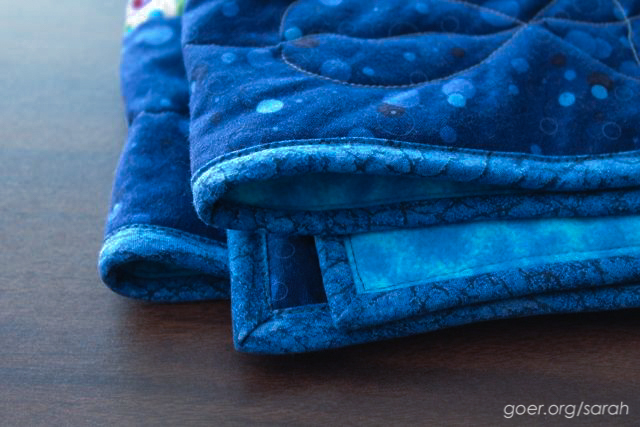 I'm linking up on Fabric Frenzy Friday and TGIFF. Posted in Quilting. 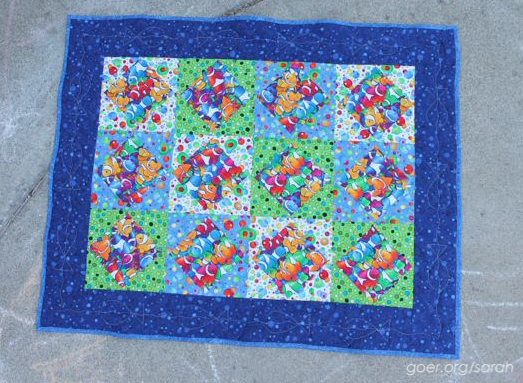 Tags: baby quilt on September 12, 2014 by sarah. What a sweet quilt. I love how your guild is working together like this. I like to pick out the vibrate ones. They are fun to work on. I'm amazed at how many quilts get finished and donated. It's a great process! Beautiful!! Is this one for your daughter's room? Looks like it will go perfectly!! No, unfortunately she has to wait as this is a donation quilt. I'm kinda surrounded by fish at the moment. I have one more donation quilt similar to this one that's waiting for binding. Her quilt is in progress. You can see the start of it in this post. 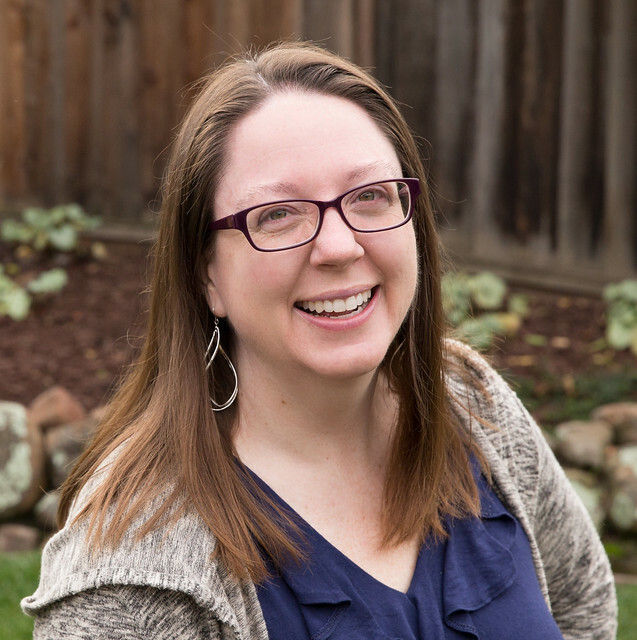 It's great that your guild has a system for making charity quilts that capitalizes on it's member's strengths! I'm jealous. :) Very cute fish, especially the quilted ones! Our guild does the same thing. I have a patchwork backing to piece together for this month. Better get going on that. It is a quick one tho. It is pretty incredible how many quilts are made throughout the year with everyone contributing pieces here and there. Nice work on the FMQ. Thank you. Good luck on your project. I'm gonna try to get the binding on my next one this weekend. What a sweet, sweet quilt, Sarah! So glad you linked up to TGIFF! Thank you! And thanks for hosting.